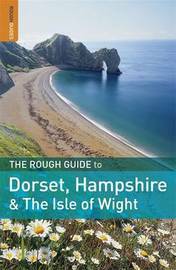 "The Rough Guide to Dorset, Hampshire & the Isle of Wight" is your definitive handbook to one of the most beautiful and diverse holiday destinations in the UK. From the wild heaths of the New Forest to the UNESCO recognised Jurassic Coast, the full-colour section introduces all of the regions' highlights. For every town and village, there are comprehensive and opinionated reviews of all the best places to eat, drink and stay to suit every budget. There is plenty of practical advice for a host of outdoor activities from exploring the new South Downs National Park by bicycle or foot, to world-class windsurfing and yachting off the Isle of Wight coast. The guide also takes a detailed look at the region's history, culture, literature and superb wildlife and comes complete with maps for every area. Make the most of your time on Earth with "Rough Guide to Dorset, Hampshire & the Isle of Wight".